Your Office of Alumni Relations and Alumni Association have established a relationship with a select number of corporations who offer alumni varied benefits and services. For more information on these affinity partners, please call the Office of Alumni Relations at (914) 633-2390 or email alumni@iona.edu. Academic Federal Credit Union is a not-for-profit financial institution dedicated to providing the best financial services for our members. Our quality services include: Savings Accounts with no annual fees, checking accounts with no minimum balance requirements, FREE mobile banking and check deposit, low-interest lows including auto, home equity and consumer loans. We also offer unbeatable low-interest visa credit cards with no annual fees and no cash advance fees! Anything a bank can do, we can do & BETTER! For more information, please visit www.academicfcu.org or call (914) 923-3608. Alumni Library Card - Alumni may obtain a bar-coded library card using the Alumni Library Card Request Form or at the Ryan Help Desk, Monday - Friday, 8:30 a.m. - 4:30 p.m. They should provide identification including name and address, such as a driver's license. The latest edition of the Iona College Alumni Directory will be consulted as well as the computerized patron file (for recent alumni) for verification of alumni status. Alumni may not borrow more than five books at a time. For more information click here. 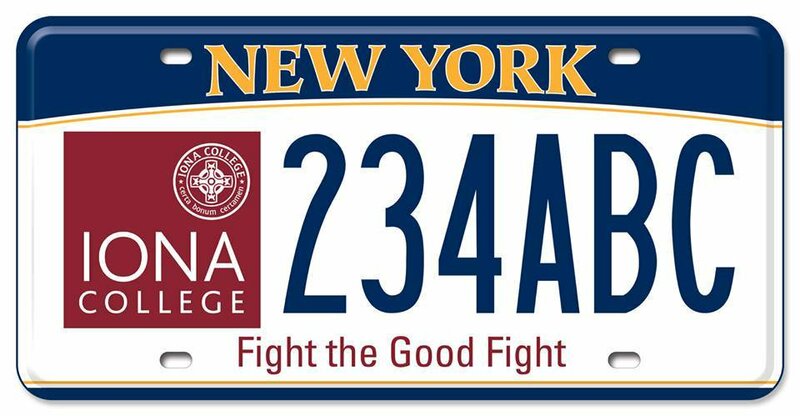 Custom License Plate - Iona College alumni, students, faculty and staff can show the world they "Fight the Good Fight" with this redesigned custom license plate from NYSDMV. Find out more about the plate and how to order at https://dmv.ny.gov/custom-plates/iona-college. Enterprise - NEED A CAR? Now you can travel and receive 5 percent off all home city locations and 10 percent off airport rentals. When making reservations, call the toll-free reservation number at 1-800-264-6350 and reference your special Iona ID # 24C7516 and company name (ION) or use this dedicated link for the alumni discount with Enterprise. 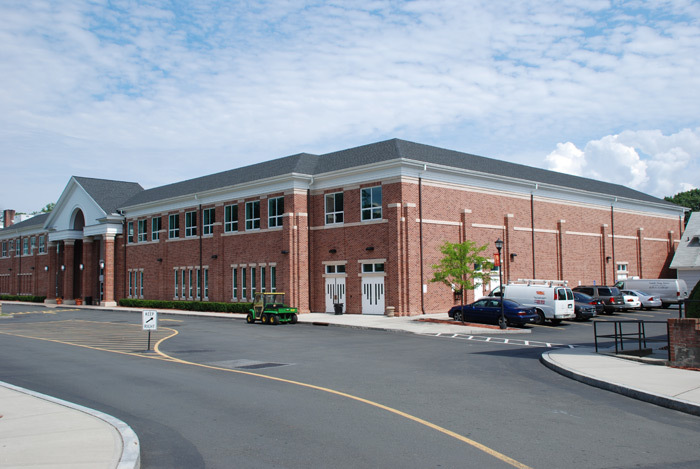 Iona College Fitness Center - The Hynes Athletics Center is available to alumni of Iona College and their families at a discounted cost. Each approved member will receive a membership card granting him/her access to the fitness facilities. For more information, please click here or contact the Iona College Athletics Department at (914) 633-2672. Jostens - You’ll find truly unique, customized products with the Iona College logo, including class rings, watches and clocks. Visit Jostens’ online shop or call (800) 854-7464. Liberty Mutual - Liberty Mutual offers discounts on auto, home and renters insurance program for Iona College alumni. View more information. Kaplan Test Prep is the leading test prep provider for GMAT, LSAT, MCAT, GRE and other standardized exams. We offer various courses delivered in-person, live online or self-paced. As an Iona alumni, you, or your family, receive a 15 percent discount (code:CLUB015) off any live course option. If you are returning to school and need to prepare for an entrance exam, you also will receive a 15 percent discount. For more information, contact James Polulach at (917) 565-4966 or james.polulach@kaplan.com. Membership = Worry-free Protection - As an Iona College alumnus, you can take advantage of simplified and worry-free protection when it comes to securing essential auto, homeowners, life and health insurance. This protection is available to you at special member-only rates and discounts through Mercer Consumer, a service of Mercer Health & Benefits Administration LLC. Learn more online or call 1-888-560-ALUM (2586). As an Iona alumnus, you are offered special access and savings for live events, attractions and hotels from this national leader in entertainment benefits. Take the following six steps to take advantage of these benefits and begin saving now: Go to www.plumbenefits.com enter your name, create and confirm a password. (must be at least 8 characters), click on “Become a Member”, click the Company Code button, and enter your personal email address and company code: GAELS1940 complete the rest of the form and click “SUBMIT”. Expect More than Cheap Airport Parking: As the leading near-airport parking company in the nation, The Parking Spot provides full-service parking to 21 major airports in the U.S., with a total of 34 parking lots. When you reserve a space with The Parking Spot, you can expect more than cheap airport parking. You're getting a superior airport parking experience. Our lots are spacious, fully-fenced, well lit, and open 24 hours a day 7 days a week. We offer: continuous friendly shuttle service, earn free parking with The Spot Club, luggage assistance, complimentary newspaper & chilled bottled water. Know what airport you're departing from? Here's a list of all Parking Spot airport parking locations. Sign up today! Thinking of heading back to college to earn an advanced degree to aid in your career path? Remember your alma mater. Iona alumni receive a 10 percent discount on tuition for graduate programs. For more information, contact the Office of Admissions at (914) 633-2502 or gradadmissions@iona.edu. 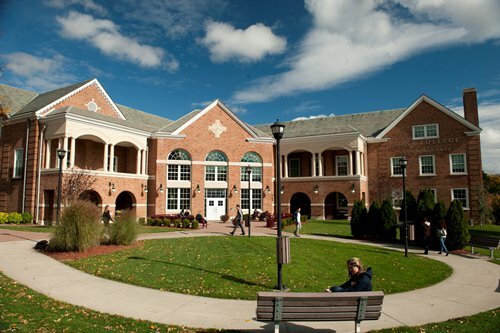 Iona College Graduate programs: The graduate programs at Iona are specifically planned to accommodate busy lives. Our offerings are academically rigorous and as inspirational as they are valuable in the real world. Typically, classes meet once a week, in late afternoon or evening to fit around your busy schedule. Iona offers a true campus environment and a convenient facility with all the resources you will need to focus on your personal and professional goals. See more information on all master's degree programs. Sibling Award ($1,500) - awarded to the younger sibling; both have to be attending at the same time. Alumni Award ($1,000) - awarded to child of an alumnus (parents and step-parents only, not grandparents).